This week, a little boy was born in Shanghai and his parents are new friends of ours. So I made some pom poms to decorate his room. And to play with later. In Shanghai, there are quite a few knitting haberdasheries in certain areas. There's a shop near my house, but there are several around the Tianzifang area (more on that another time) as well. 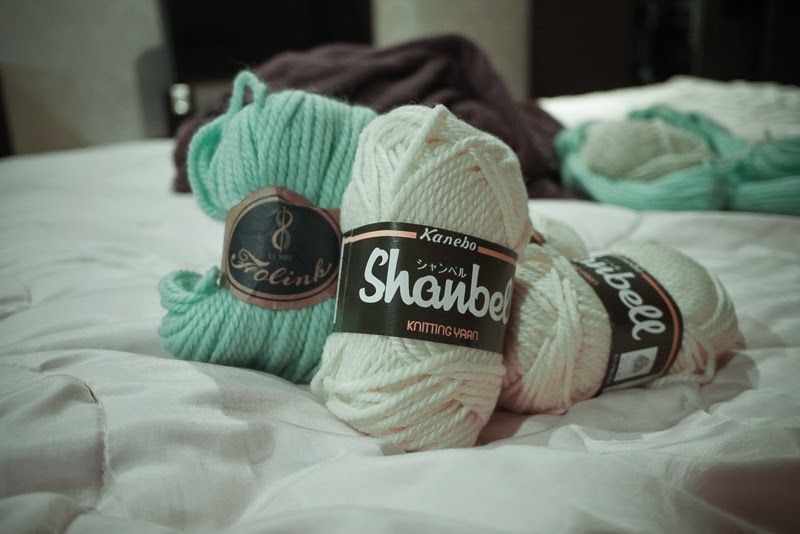 But I bought this wool from the nearby shop, and had to muddle my way around what I wanted to make and buy because the two lovely shopkeepers didn't speak English so I spoke my basic Chinese and used my translator app for the words I forgot or couldn't say. Luckily they had pom poms in the shop so I could point a lot. As you can imagine these were quite straightforward to make, but using the pom pom plastic thingie mum bought me from the shops was MUCH harder. 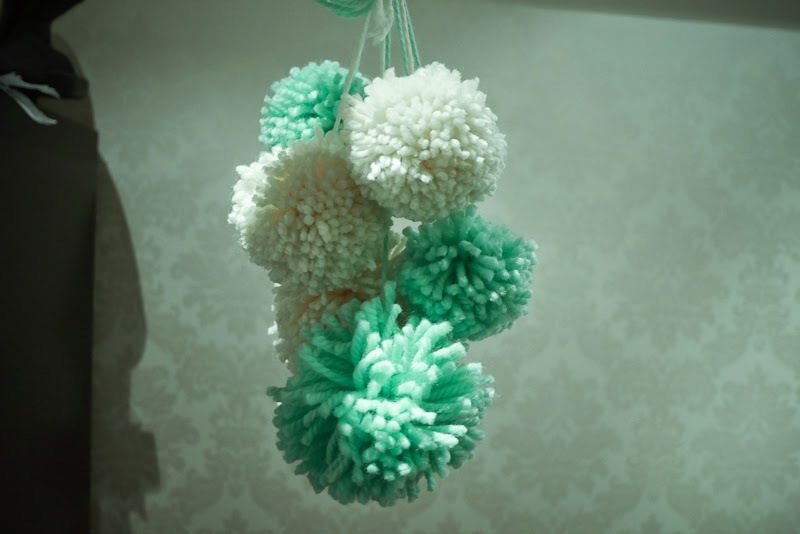 I had to go the old fashioned traditional pom pom way and use 2 pieces of cardboard shaped like a 'C' (have a look at the Mindful Mumma's Post for more) to make it thicker. Sorry mum! They look good and fun! I've been thinking a lot about my blog design and feel very stuck with where to go with it next. Do you have any tips for transferring over to your own domain? What about making up a new fresh template for your blog? Let me know your experiences with it!